Is The Yangtze River Dolphin Extinct Or Not? What is the actual conservation status of the Yangtze River Dolphin today? The Yangtze River Dolphin is also known as the Baiji Dolphin and it’s the rarest of fresh water cetaceans. This is a very unique dolphin species indeed, only found in China’s Yangtze River. About The Yangtze River Dolphin. The scientific name for this mammal is Lipotes Vexillifer. Lipotes means “left behind”, while Vexillifer means “flag bearer.” Interestingly, this dolphin is also nicknamed “Goddess of the Yangtze” as local fishermen and boatmen regarded it as the Goddess of protection. 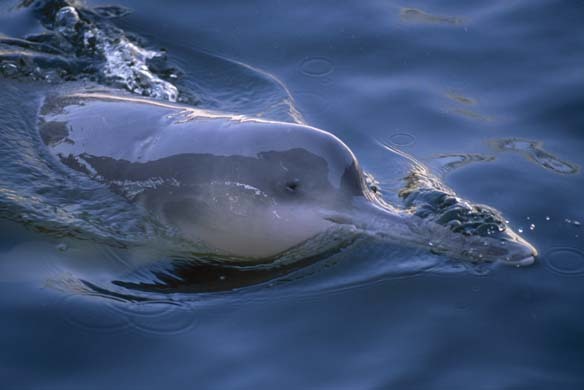 Other common names for the Baiji include: Chinese river dolphin, whitefin dolphin and the Yangtze dolphin. This entry was posted in Dolphin Information and tagged Baiji dolphin, extinct dolphin species, Goddess of the Yangtze, is the Yangtze river dolphin extinct, Yangtze River Dolphin on July 22, 2017 by Roselyn Onuche. Did you know that dolphins could walk on land millions of years ago? Well, read these dolphin facts to find out more. Though Dolphins Are Now Confined To Water, They Walked On Land Once. Dolphins are one of the most fun to watch and well-known sea mammals today. Especially species like the common bottlenose dolphin. We all know the usual facts about these animals: for example, their remarkable intelligence, and friendliness to humans. But, there’s still a whole lot of information that dolphin lovers would be interested in knowing. 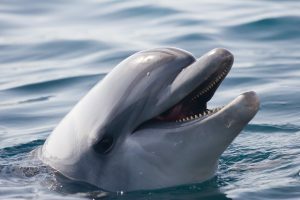 In this post, we’ve gathered some of the most amazing and entertaining dolphin facts for you so do read on to find out more. This entry was posted in Dolphin Information and tagged Amazon river dolphin, Chinese white dolphin, common bottlenose dolphin, dolphin facts, dolphin species, killer whale, orca, Yangtze River Dolphin on July 7, 2017 by Roselyn Onuche.